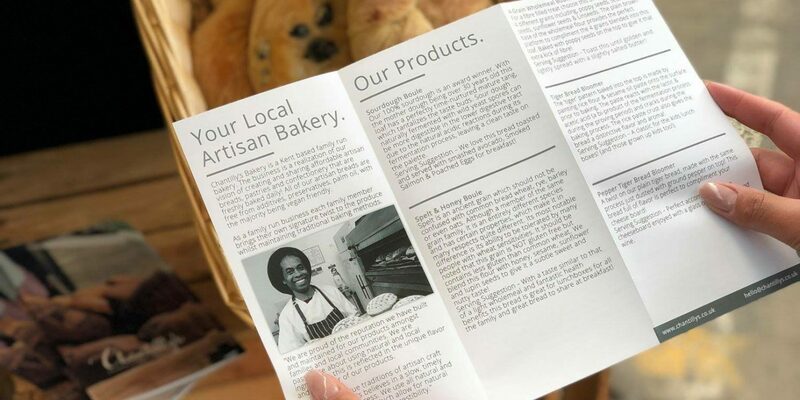 Paul’s love of artisanal craft baking dates back to 1970 when a 16 year old Paul, who was working as a cleaner in a local bakery in Whitstable at the time, was inspired when he came across the resident Master Baker crafting breads. This was truly an inspirational moment in young Paul’s career and he went on as an apprentice for the Master Baker, an experience he fondly remembers as a magical enlightenment of the artisanal process and technique. In his early twenties, Paul went on study Baking Technology and Food Science at the National Bakery School in South Bank, London. As an award-winning student, Paul’s passion and creativity brought him notable opportunities when he went on to train on the continent alongside Master Bakers across France and Germany. 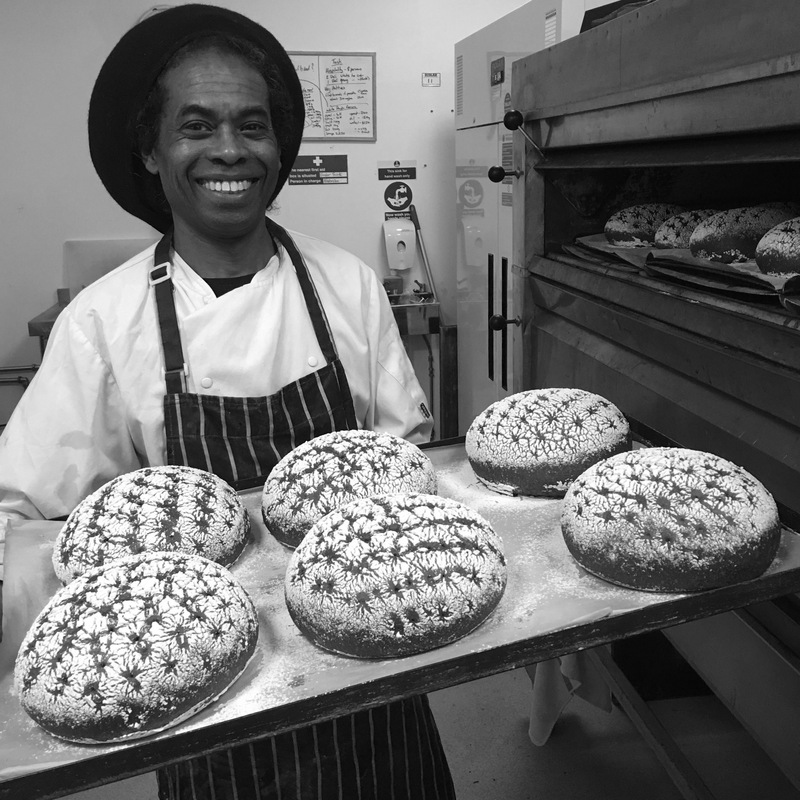 Paul’s invaluable training and technical knowledge is reflective of his unique and characteristic products such as his rustic Multi-seeded Dark Rye and 42 hour fermented olive la Douve. I began my career on a Youth Opportunities Programme as a Trainee Baker/ Confectioner. It was here that my passion for baking first began. Thereafter, I moved to a small family Bakery as a supervisor in charge of the confectionery department and met my husband to be who was in charge of the bakery area. Alongside this role we both attended the local college to study for our City in Guilds in both Catering and Flour Confectionery. During my time here i decided to put my learning of continental confections into practice when I moved to Druckers Viennese Patisserie whilst also developing my arts and passion. Next, I decided I would like to share some of the crafts I have been fortunate enough to learn with others so I trained to become a teacher. During my teaching career I have taught in Colleges both Adults with learning difficulties and Young Adults. In Primary and Secondary schools both mainstream and in the special needs sectors. I am presently fulfilling my dream of working in our own family business which covers both Baking and Catering. Winner of the Taste of Kent’s Food and Farming Young Entrepreneur of the year 2017. Danielle runs the operations of the business, from sales, marketing, finance & business strategy. I’ve worked and still work in roles within other local Kent businesses where I am responsible for book-keeping and looking after finances, so it made sense for me to use the skills I’ve trained in to help support the family business. My passion is sharing our products with everyone and anyone I can. We’ve grown up eating the products that we produce, so we know them inside out. Which makes talking to other businesses and sharing our passion for our food with them a great job and I thoroughly enjoy it. I love to meet new people and love working with other business owners who are just as passionate about their products and services as we are about ours. After graduating with a 1st class degree in history and a masters in law Natasha decided that pursuing a career in either of these subjects wasn’t for her. Natasha is highly talented in artistic creative ventures, she has a great eye for design and pays great attention to detail. Natasha has a talent for re-creating the visions manifested in her innovative mind. 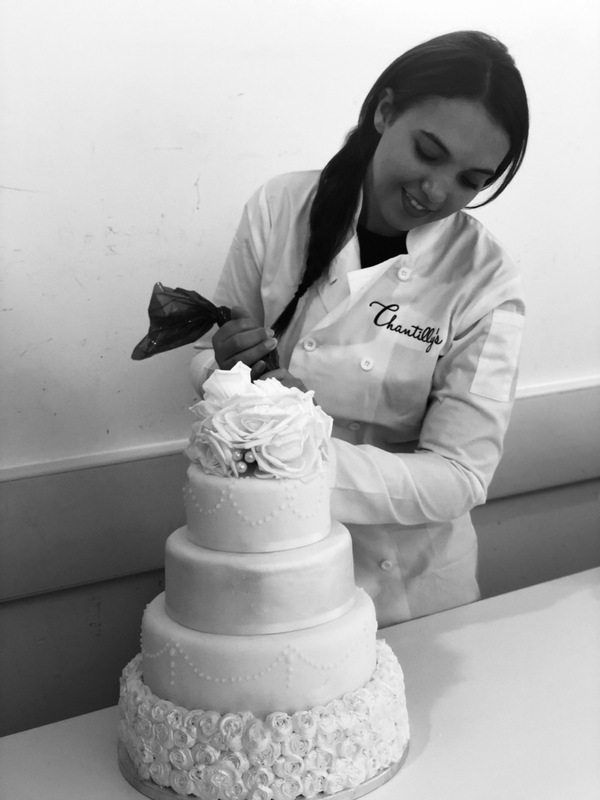 For this reason, Natasha decided to train with her mother confectioner Pauline to learn the art of sugar craft and cake design. Natasha is a great problem solver when presented with a creative project she will always find a way to deliver the end result in a highly professional way with great artistic flair. 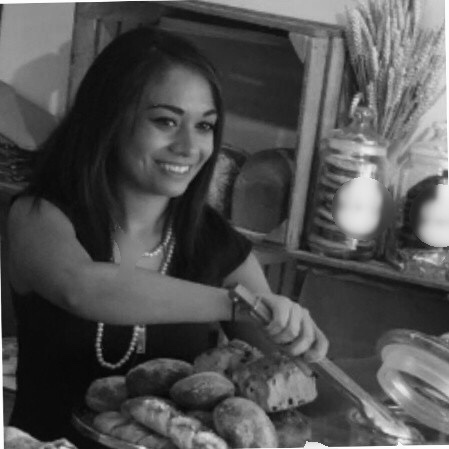 Natasha is responsible for designing and making bespoke wedding and celebration cakes as well as creating and developing new products for our cake and confectionery lines. 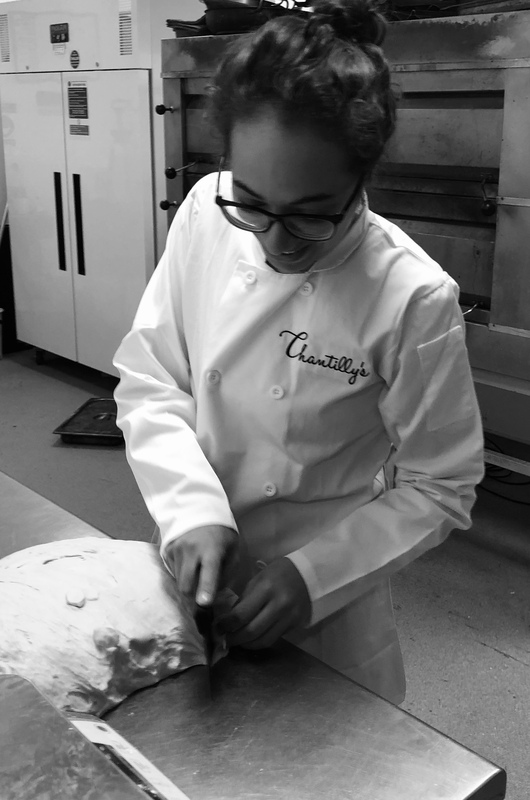 Chantelle the youngest of the family is very methodical and organised for this reason Chantelle took it as her responsibility to undertake training courses on advanced food hygiene, allergy awareness and HACCP awareness. Chantelle creates bespoke risk assessments and HACCPS for the business and keeps everyone in check on their health, hygiene and safety training as well as supervising monitoring and recording reports to make sure the business maintains its excellent hygiene ratings and continues to operate in a safe way. 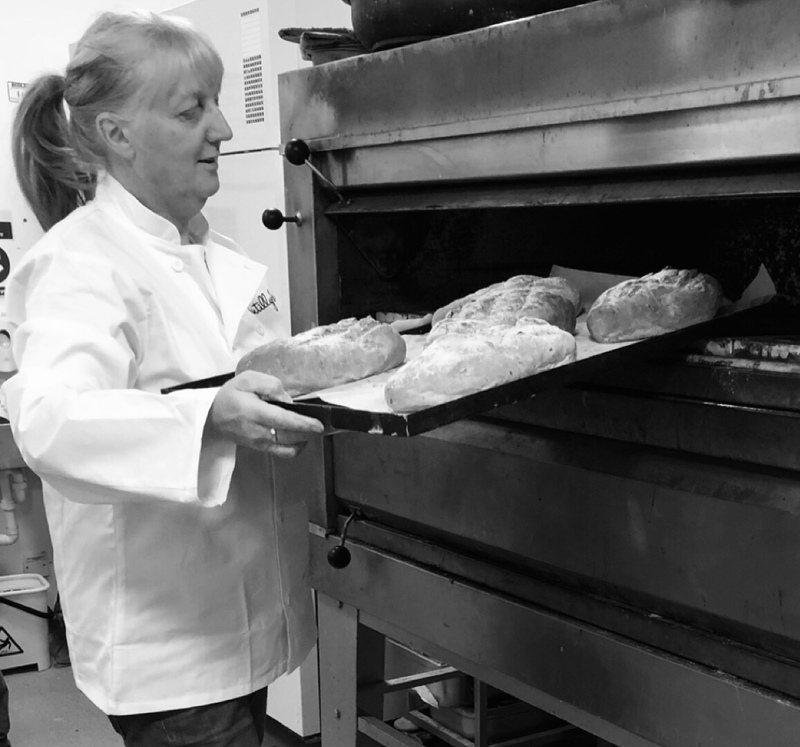 Alongside this very important role Chantelle has and still is training alongside her father Paul in the art of artisan baking and bread making. Paul has shared with Chantelle his sour dough starters which Paul created when he started training at the age of 16, Chantelle has adapted and made these her own. Paul has also taught Chantelle the craft skills of patisserie and chocolate art.